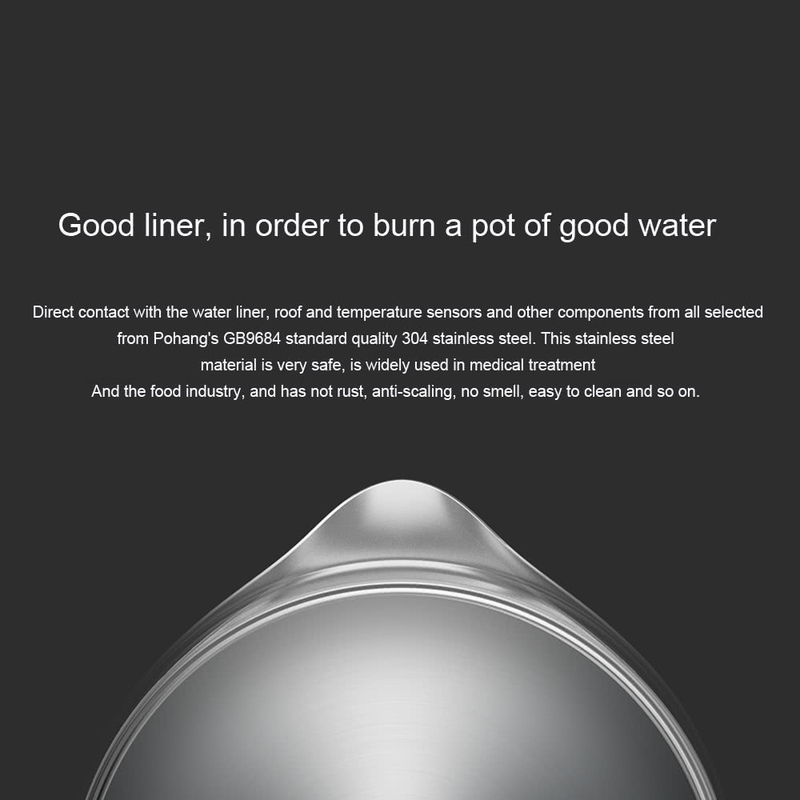 304 Stainless Steel Liner--the material is very safe, and has not rust, anti-scaling, no smell, and easy to clean. 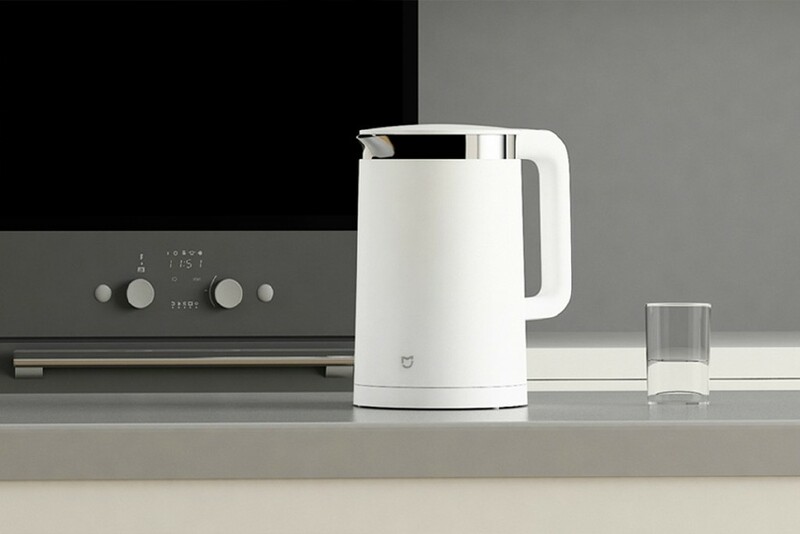 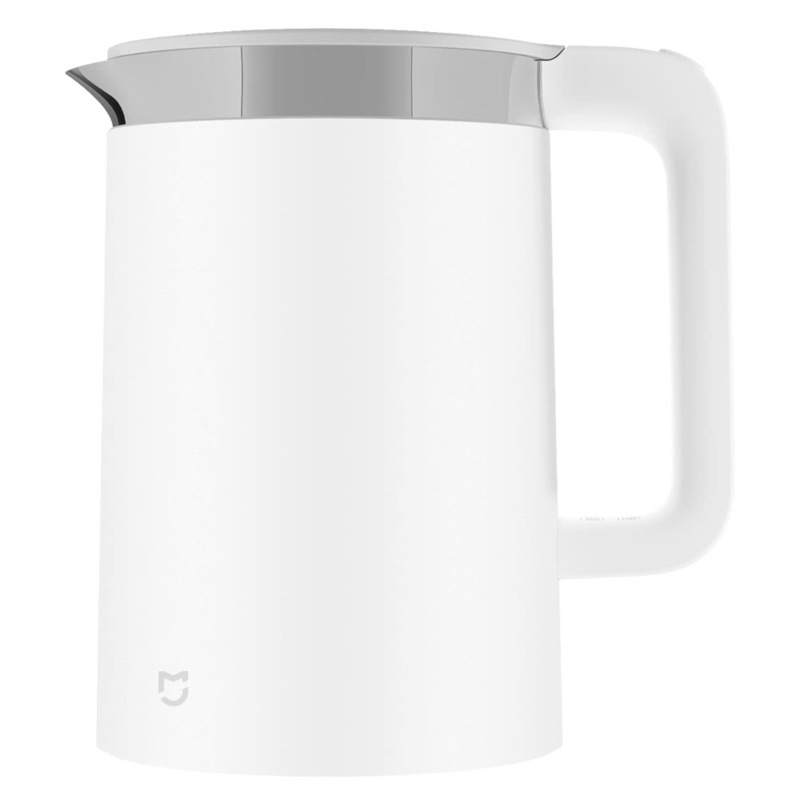 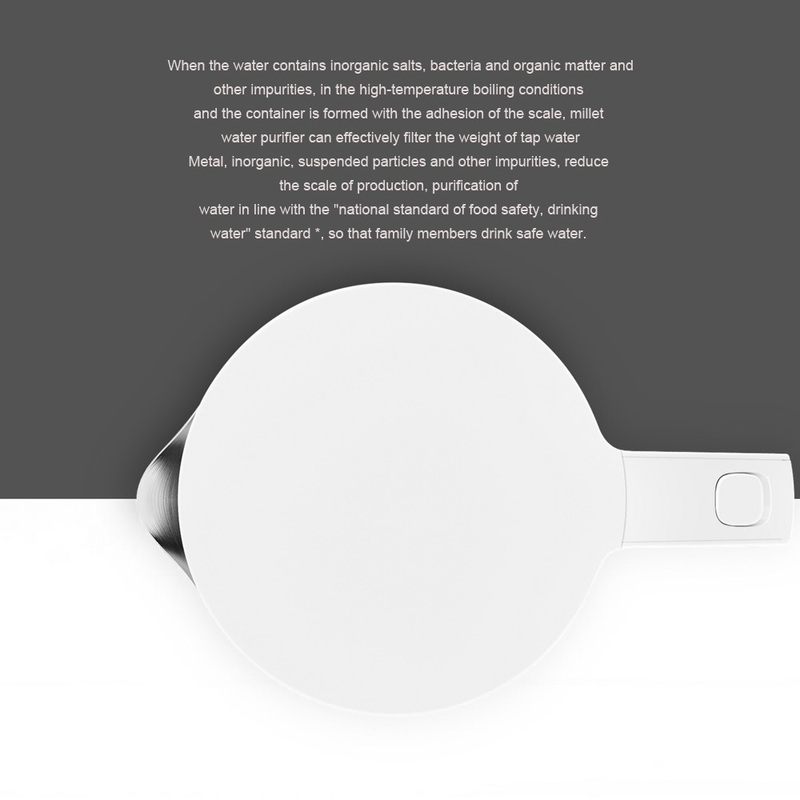 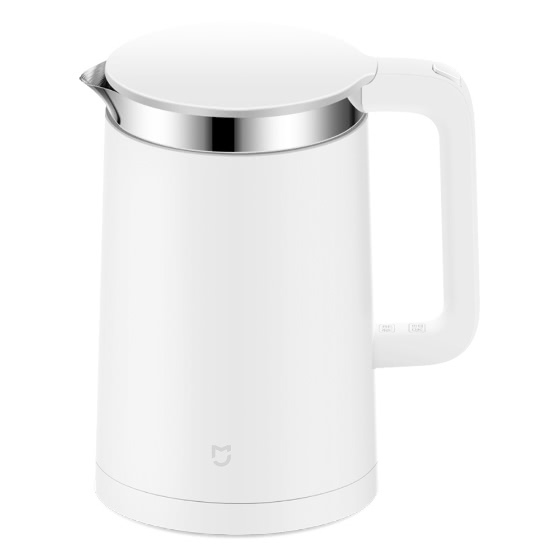 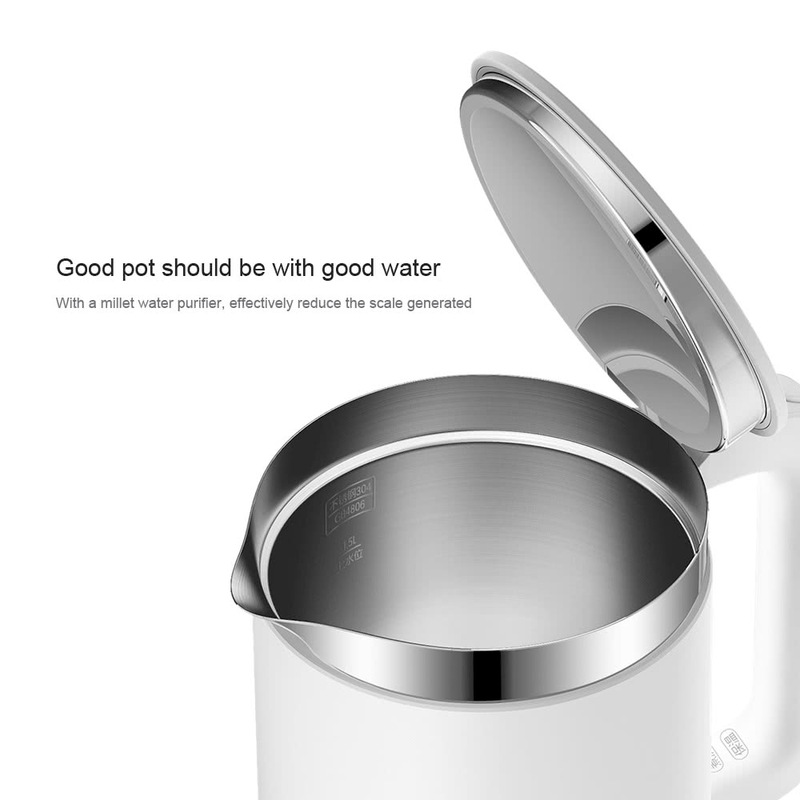 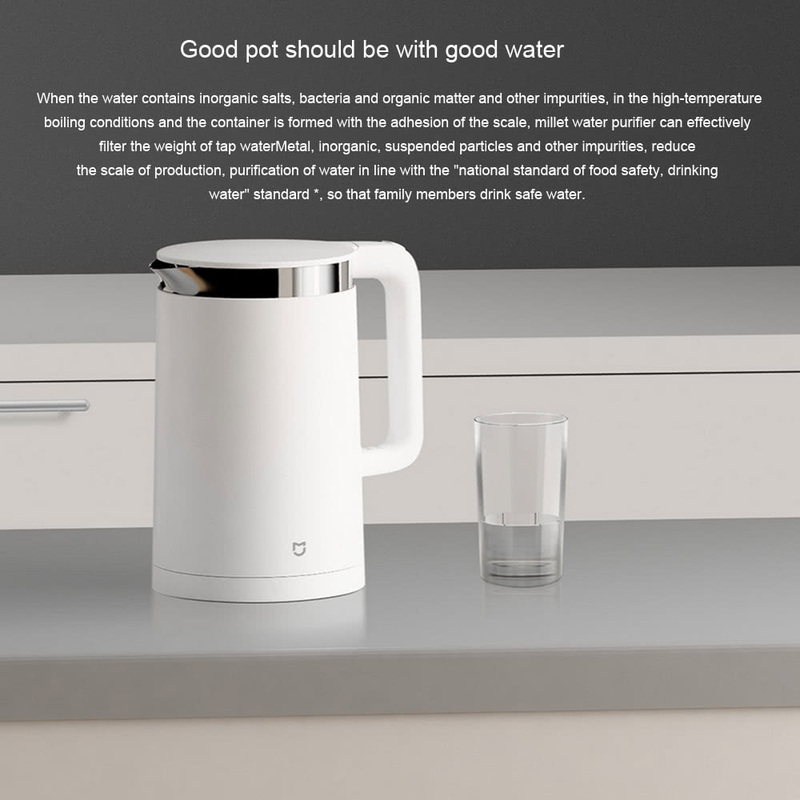 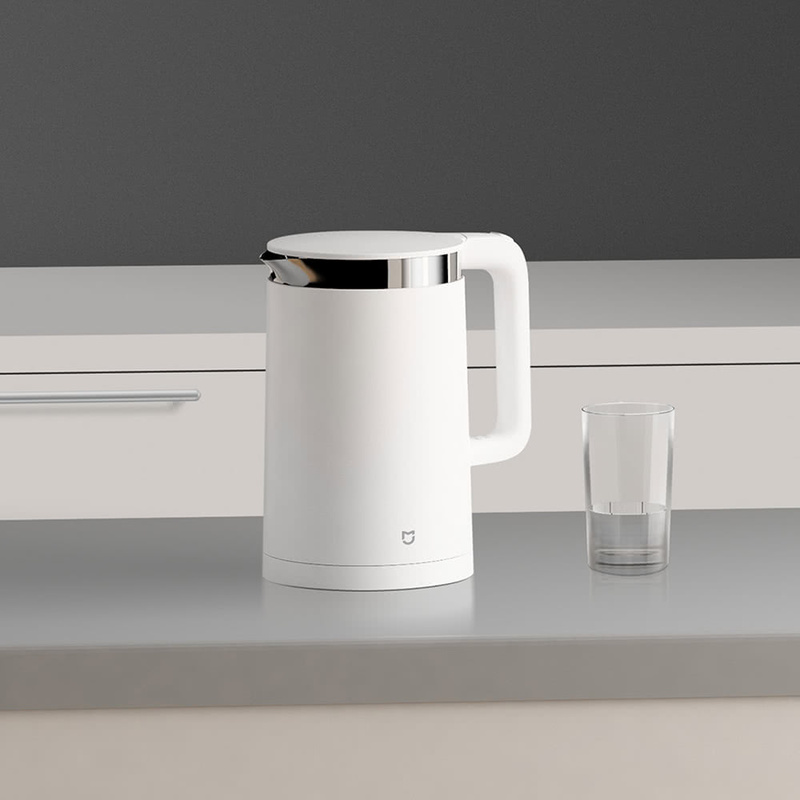 1.5L & 5min Quick Boiling--1800W Rated power boiled the water in 5min, don't need to wait for a long time, and meet your Household water demand in one-time boiled. 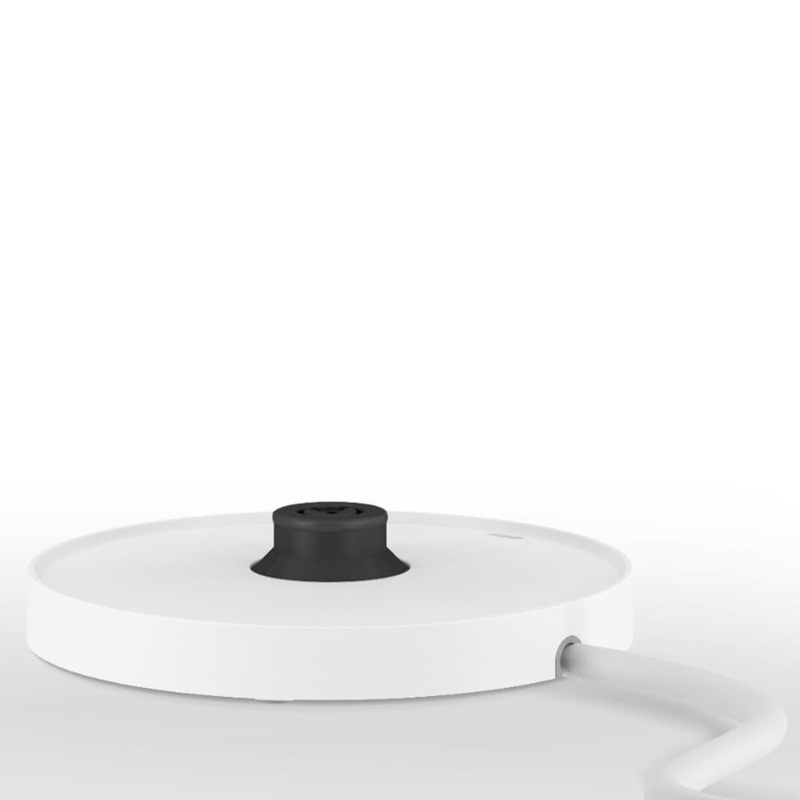 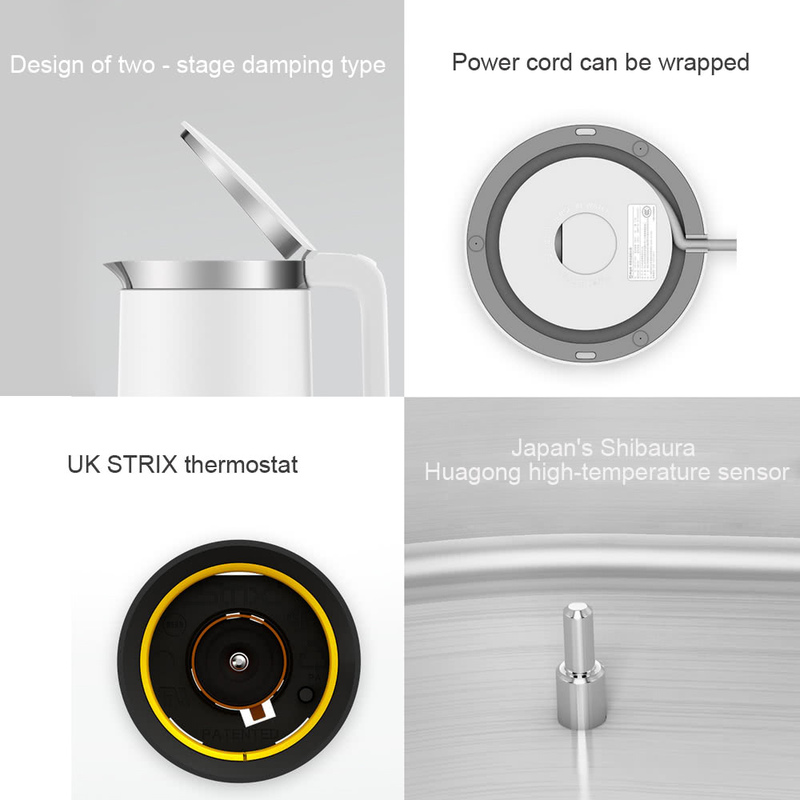 12H Smart Thermostat--the laboratory test boiling water keep 90 degrees after boiling insulation, sustainable 12 hours of insulation, power consumption is only 0.532 degrees (Kw.h). 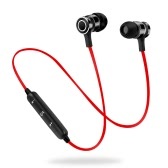 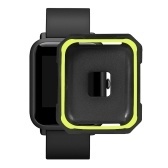 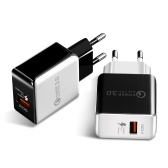 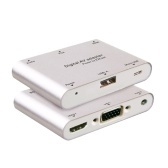 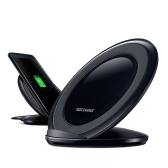 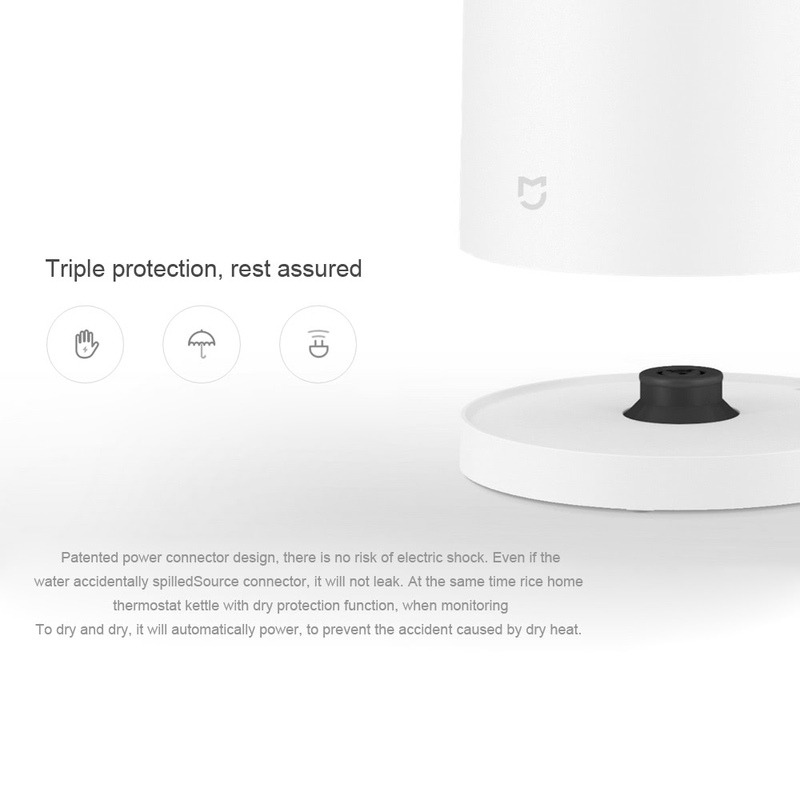 Triple Security Protection--Prevent electric shock, No electric leakage and Auto power off. 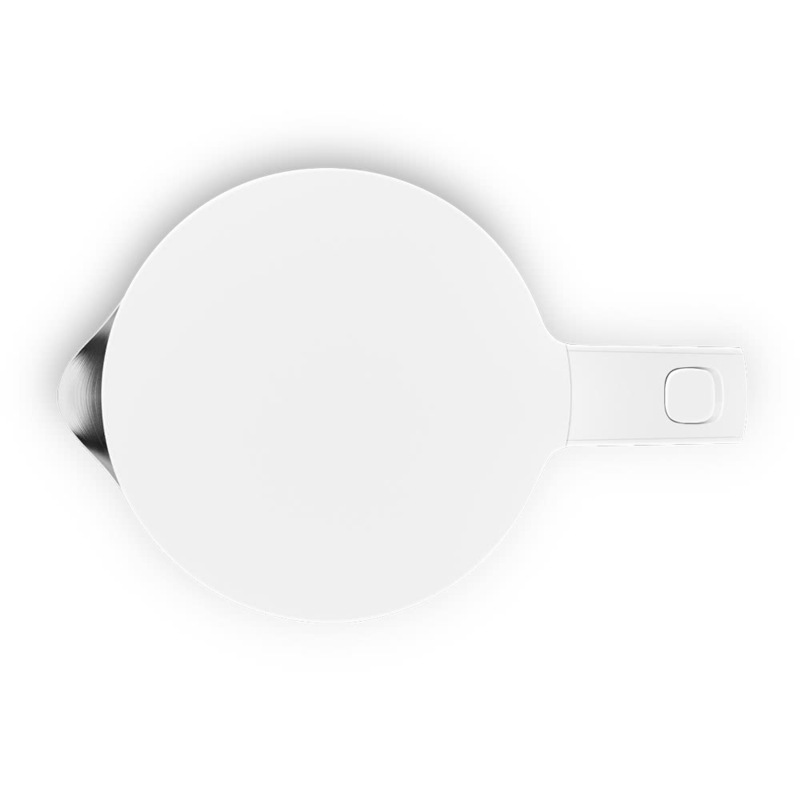 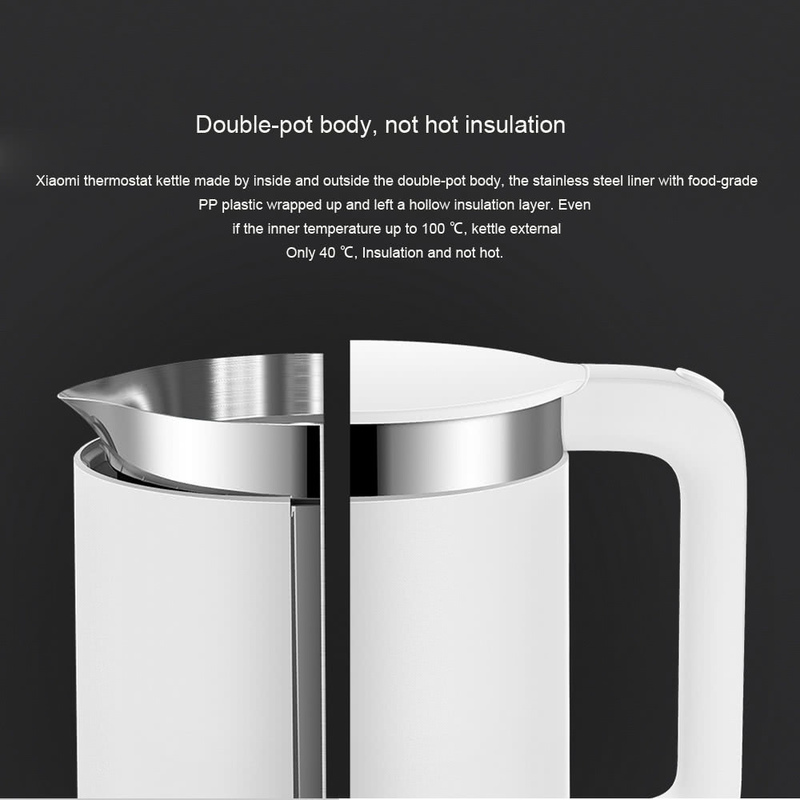 Double Kettle Body, Insulation and not Hot-- Xiaomi thermostat kettle made by inside and outside the double-pot body, the stainless steel liner with food-grade PP plastic wrapped up and left a hollow insulation layer. 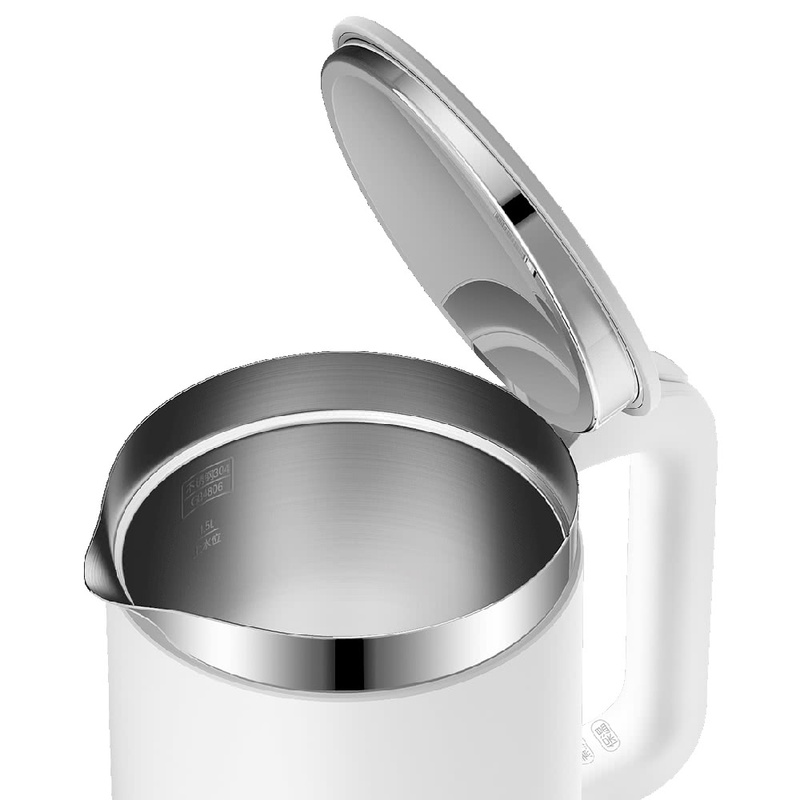 Even if the inner temperature up to 100 ℃, kettle externalOnly 40 ℃, Insulation and not hot. 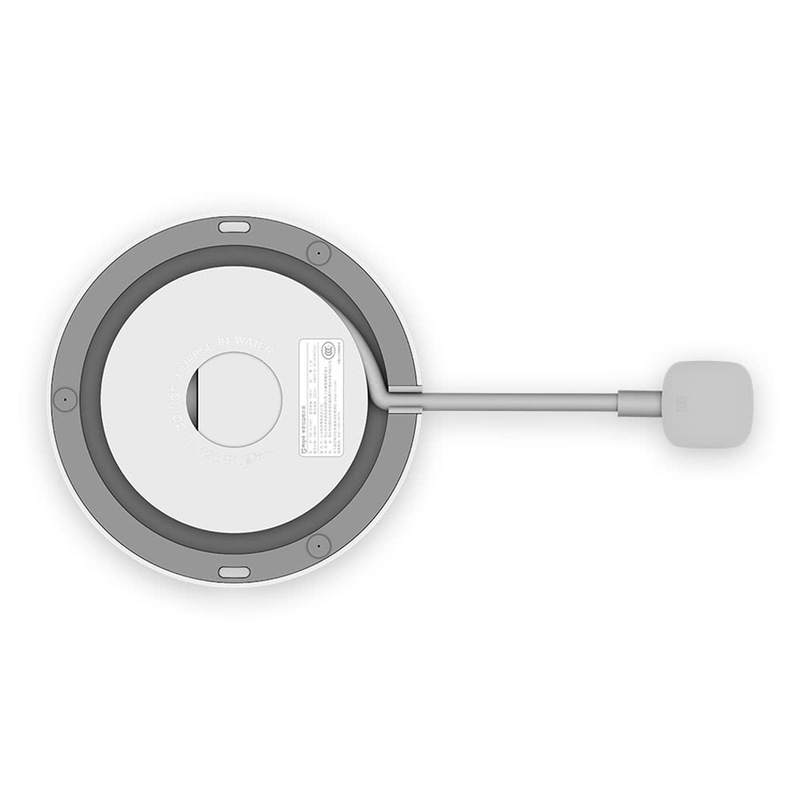 130mm Diameter / 80°Open Mouth--Ergonomic design, it is convenient for you to clean the liner. 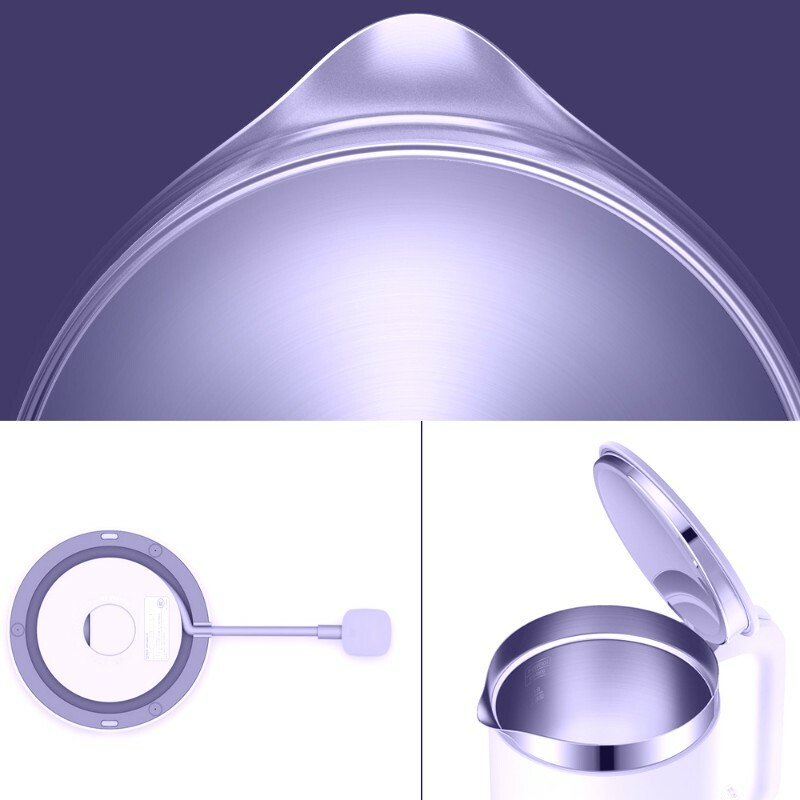 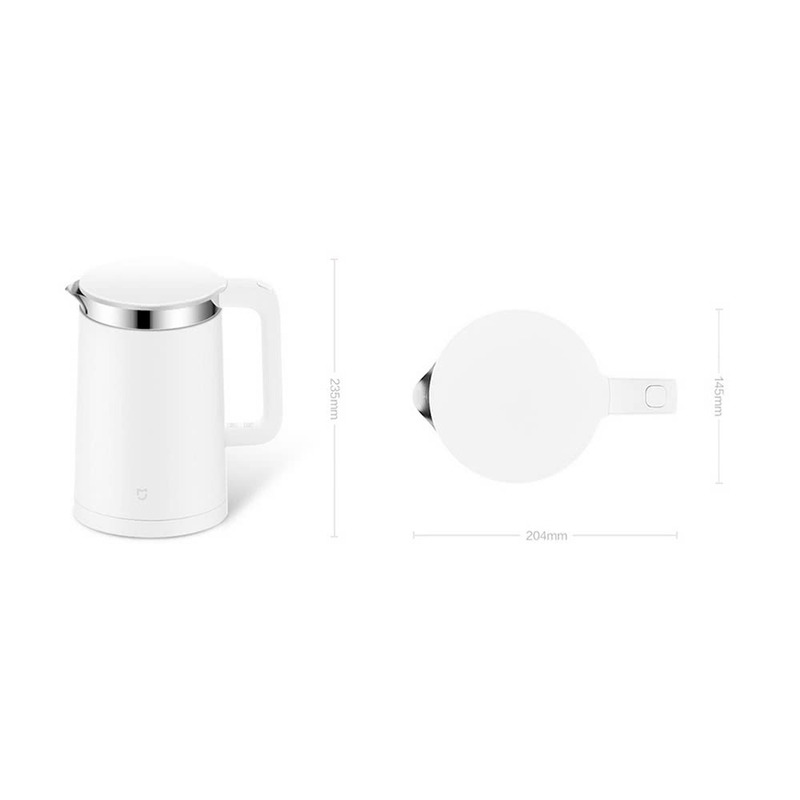 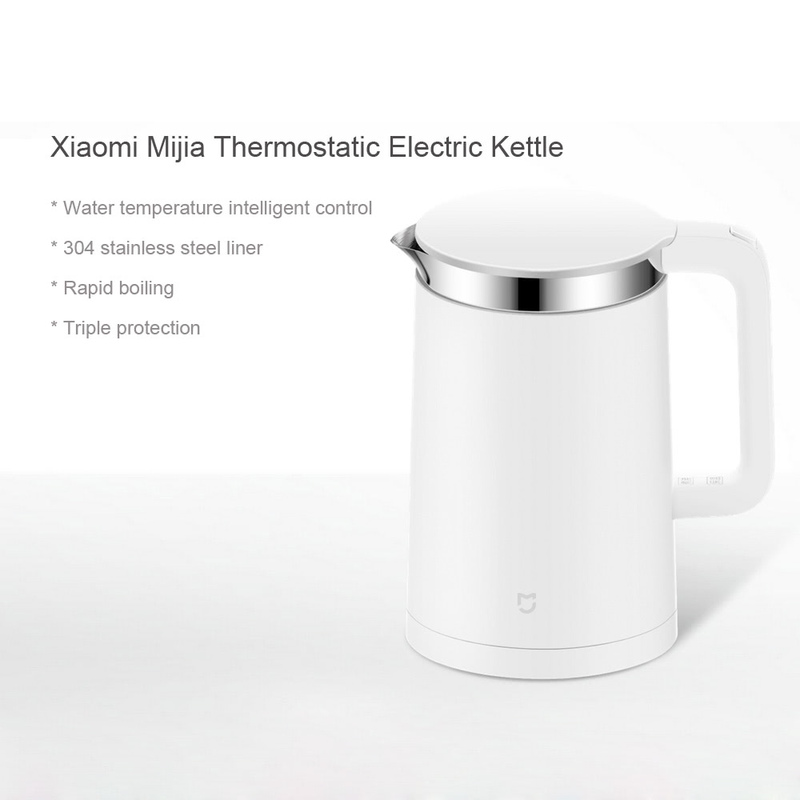 Mobile Phone Remote Control--open BT 4.0 and connect with Xiaomi Smart Home APP to remote control the water temperature. 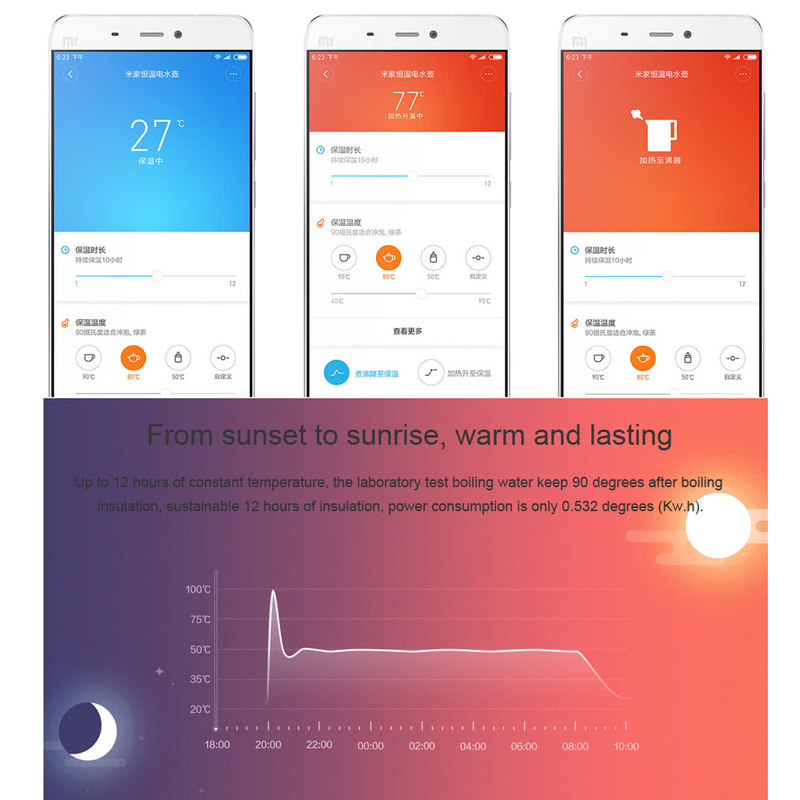 Q Buttons in what language English or Chinese? 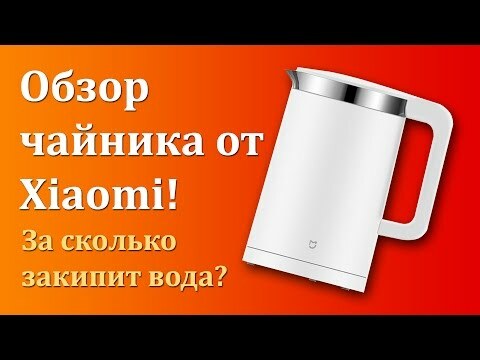 A Button is not English or Chinese,thanks. 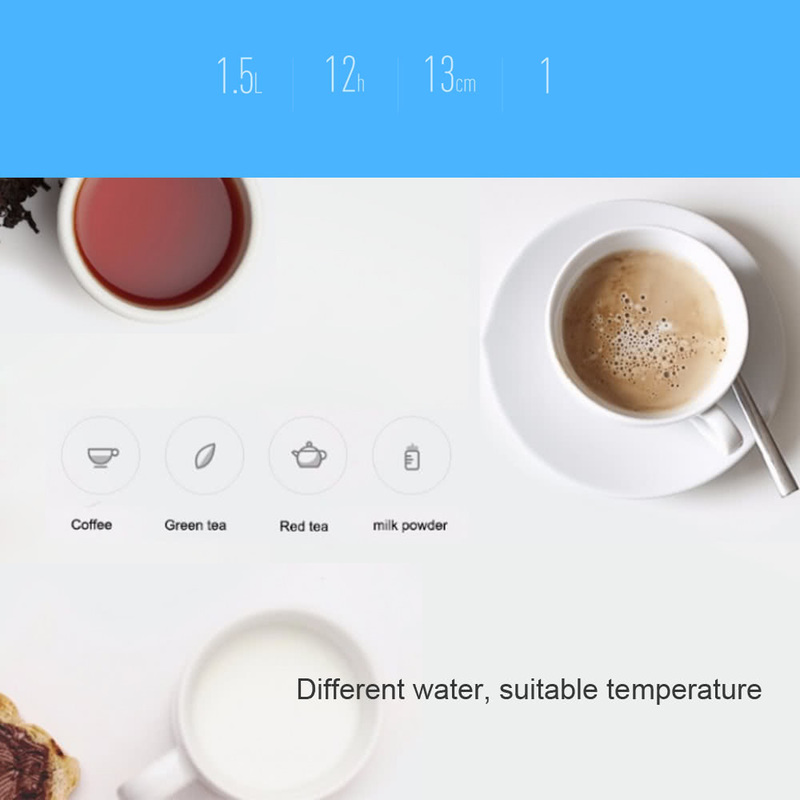 A hi sir, yes, and you can set the timer yourself.